For coastal cities, rising sea levels due to climate change are questions of when and how high, not if. San Francisco's Brian Stokle and Burrito Justice created this amazing poster that shows what the city would look like after the waters rose. 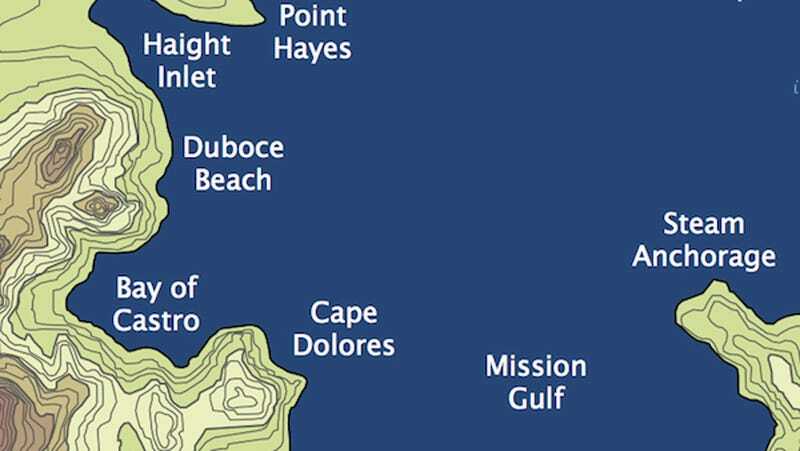 The map shows what the city would like after a catastrophic disintegration of the Antarctic ice cap that caused sea levels to rise 200 feet, transforming San Francisco from a peninsula into an archipelago.